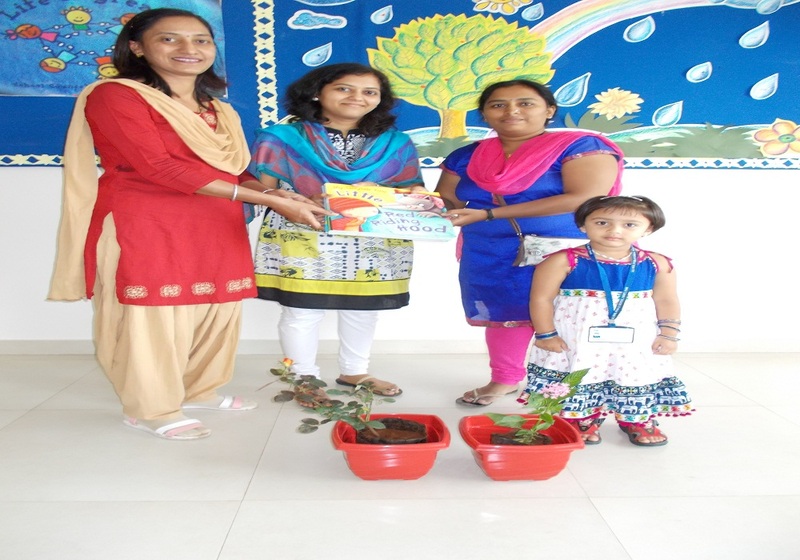 Our pre primary parent Mrs. Meenakshi Pawar donated story books and saplings to school on the occasion of her daughter, Shravani's birthday. It is often said that "Charity Begins at home". This proverb culminated into a practical form for our Pre-primary section. This academic year, in the 1st term, 3 of our parents brought about a novel idea to celebrate their kids birthdays. 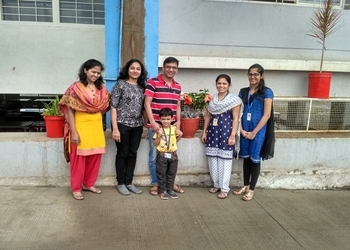 Parting away with the general practice of holding great celebrations & literally bouncing out unnecessary expenses, two of our parents ,one from Jr.Kg. & one from Sr.Kg. 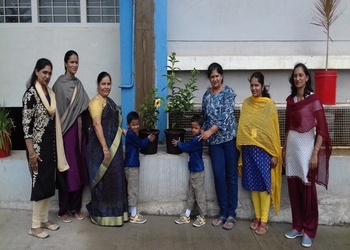 donated saplings to our school while another parent from Sr.Kg. 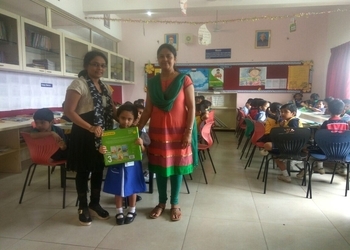 donated some story books to our school library.